BA Connect was low cost airlines of United Kingdom with its base in London City. Initially BA Connect was regional subsidiary of British Airways. Later it was sold to Flybe in 2007. BA Connect operates air flight services to a number of domestic and European destinations. BA connect was founded in 1970 by Brymon Aviation Limited. Initially it provided air services by the name Brymon Airways. The company was sold to British Airways in 1993. 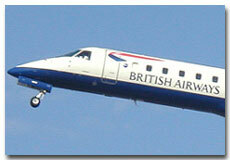 Later it was merged with British regional airlines to form British Airways Citiexpress. It was again renamed to BA Connect in 2006. Now it is whole subsidiary of Flybe. On 3 November 2006 the airline announced to stop all its flights services by the name of BA connect and it was sold to Flybe.